Need Pens - High quality pens and pencils - engraved Cusom Logo Pens. Show appreciation for your customers and the Earth! 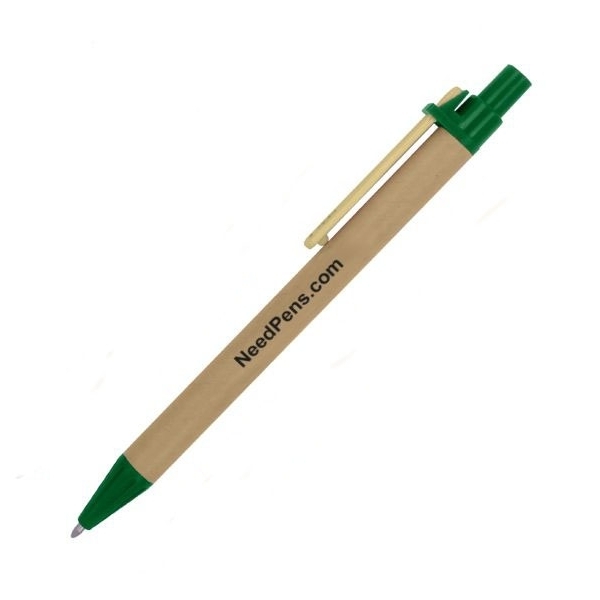 This recyclable clicker pen features a biodegradable cardboard barrel and a matching color bamboo clip with plastic trim. 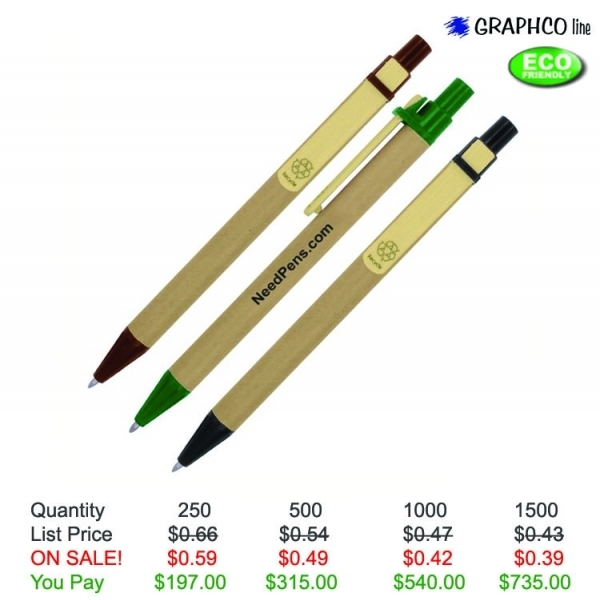 Perfect for promoting environmental awareness, preservation campaigns, and other green causes. A great reminder for every recipient to do their part! Writes with German black ink. 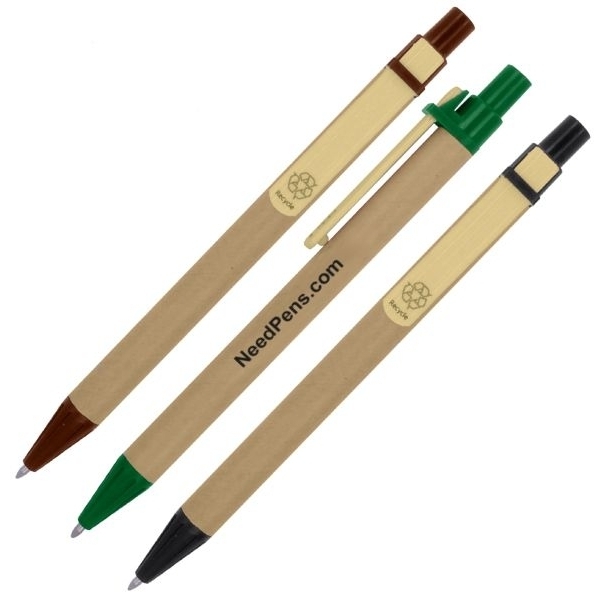 Product Features: Biodegradable cardboard barrel, matching color bamboo clip with plastic trim. Item Color: Green, Black or Brown Trim. Material: Brown cardboard barrel with bamboo clip. Shipping Weight: 5 lbs. per 200 - FREE Shipping!